Wow, I have been conspicuously inactive this summer. Time to get my back log of blog post ideas through the pipeline. 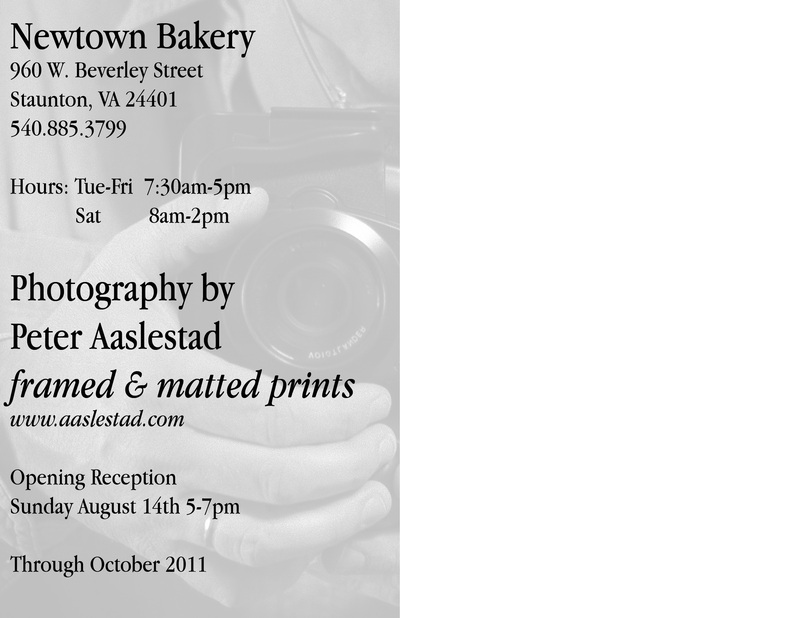 I’ll start with a simple one by posting the “post card announcement of the show of photographs that I put together for the gallery space at Newtown Bakery in Staunton. “Like any photographer I try to shoot things in such a way that the viewer (myself included) might see something otherwise unseen. In that way, then, I am looking for the “road less travelled”. And, like any photographer, I am interested in the paradox of capturing the timelessness of a place in the instant it is framed through a lens. Hence the mash up title of this collection of photos, “Time Less Travelled”. I can’t really tell you what it means. For me, it wraps together some of my obsessions in a neat package and even, unintentionally, suggests the idea of time travel. It is somehow suitable for photos that are often long exposures – either shot at night or, in daylight, through an Hoya r72 infrared filter. These shots are actually a series of instants laid overtop one another, like compressed videos. I’ve also enjoyed some post production tinkering with blurring and framing images in a way that supports this notion of time travel and uncertainty of scale.